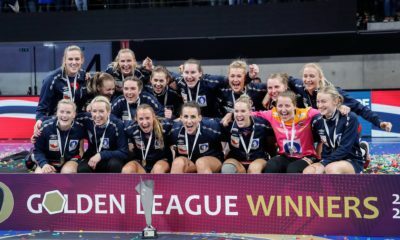 After the pregnancy of Katrine Lunde and the injury of Jelena Grubisic, Győr had faced a bigger problem on goalkeeper position, than expected. All these, right before the start of the Main Round play in the Champions League. Only Hungarian Orsolya Herr was healthy and ready to play, otherwise Győr should play their CL matches with a 17 years old goalkeeper on the bench, Alexa Wéninger beside Herr. The director of the club, Ernő Kelecsényi tried to find the most optimal option, and tonight it was announced that Norwegian goalkeeper, Kari Aalvik Grimsbö will be the new goalkeeper of the club, her contract is signed for 2,5 years. Kari Aalvik Grimsbö had a valid contract with her Danish team, Team Esbjerg, until 2016, but the two clubs has came to an agreement, Győr has bought Grimsbö and the 29 years old goalkeeper will move immediatly together with her husband and son to Győr, Hungary. ” Györ has a goalkeeper injured and needs a goalkeeper, not just for now, but for the future also. “It is a great opportunity for me, and when such an opportunity arises, it is hard to say no. It’s a dream coming true. “It will be of course hard to say goodbye to the club and the people in Esbjerg, where both my family and I have been very happy all these years. The club has made good progress and I have developed a lot both as a person and a player in my time in Esbjerg. 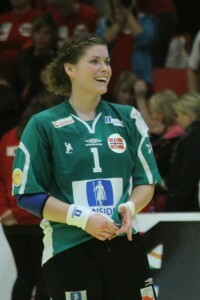 Grimsbö was the first goalkeeper of the Norwegian NT at EURO 2014, but she got injured during the first match against Romania and had to travel home. She had a surgery related to her knee injury in the middle of December and she needed two months recovery, which she has finished recently. 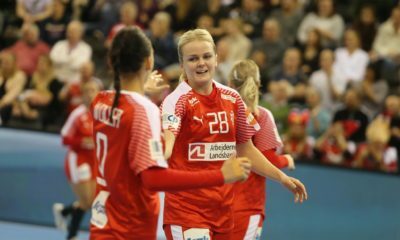 Larvik HK – to be or not to be?